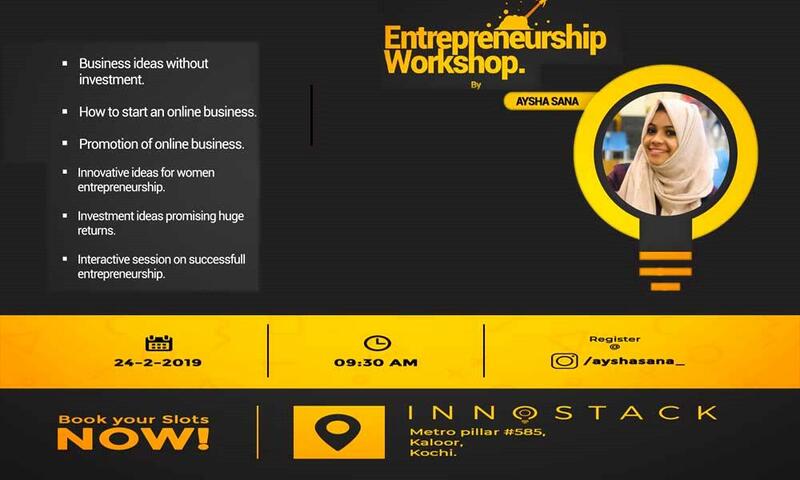 Innostack is conducting an Entrepreneurship Workshop By Aysha Sana, on 24th of February 2019 in Kochi, Kerala. Innostack is happy to announce their upcoming Entrepreneurship workshop, is being held on 24th February 2019. This workshop event is going to lead by the famous business consultant, Aysha Sana.